This past week saw yet again two horrible instances of violence—once again at schools. Two popular teachers are gone, along with a troubled student. Another student will possibly be tried as an adult and prosecuted. Again we wonder whether public schools do much to help disturbed students. In both these situations, unless something new pops up, we will never know if intervention through school programs may have helped these students. So how do you reach students who might be on the edge of a catastrophe? Public schools, I believe, are a good place to identify and help troubled students. What needs to be done before disturbed students go awry? Well here are some things, I believe, you don’t do. You don’t bombard students with repetitive, cold, calculated high-stakes tests, posting their pictures in Data Rooms along with scores, and not have them notice. For students who do well, this may appear to be no problem, although even here what students learn is fake reliance on what’s important when it comes to learning. But for students on the edge of testing mediocrity, or worse, this scenario could be devastating. It is dehumanizing. You also don’t plop students with a variety of disabilities, some emotional and/or behavioral into class sizes of 30 or more, and think they are going to feel cared for. I don’t care what Herculean efforts on the part of the teacher the class size is against them. A manageable class size, in general, is important for many reasons, especially so teachers can learn about the hopes and dreams of their students. More importantly, they also discover their student’s troubles too. Learn more about the importance of class size here http://www.classsizematters.org/. Another thing you don’t do is create a zero tolerance, prison and/or militaristic atmosphere where children will, under no circumstances, ever be heard. Every week I hear horrible stories of students being made to follow draconian rules where their opinions and ideas are ignored…where they are treated like criminals over trite offenses. Often, they are never given an opportunity to explain themselves. Usually, they have a good explanation for their mistakes. By the way, kids make a lot of mistakes. Adults make mistakes too. Of course it would help if schools didn’t only emphasize a couple of subjects, but recognized that some students thrive in the arts, and that there is nothing wrong with this. Many schools have fired credentialed art and music teachers. The school reformers see the arts as a frill. Yet, for some students, the arts are an outlet for a life that might seem otherwise unexceptional. Boredom can be a real factor in a high-stakes test-driven school atmosphere. The arts are an enjoyable part of school. Why do the current school reformers not see this? Why must school be bleak? In addition, and extremely important, you don’t ignore parents. Right now changes in curriculum, teaching, school ownership etc. happen so fast parents can’t catch their breath. They, like their students, are disengaged. Ignoring parents is a real mistake. They are a huge part of the public school equation. Schools should welcome them. They also might face insurmountable difficulties that need to be addressed. Back on August 22, I wrote about public schools and mental health. Others have written about it too. Valerie Strauss of The Washington Post’s The Answer Sheet wrote a great post describing a study by Andrea M. Spencer, dean of the School of Education at Pace University in New York and educational consultant to the Center for Children’s Advocacy. 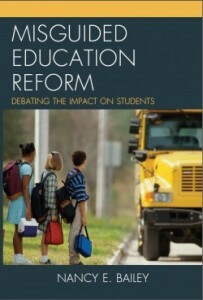 The study is entitled, “Blind Spot: The Impact of Missed Early Warning Signs on Children’s Mental Health” http://www.washingtonpost.com/blogs/answer-sheet/wp/2013/09/19/study-impact-of-unaddressed-mental-health-issues-on-students-is-severe/. Spencer’s research included looking at student records of 12 to 16 year olds. Many of these students had been in trouble or had problems in school. She noted that in Connecticut, one in five students have mental problems, but only about half of those students get mental health services. She provides other pieces of information if you are interested in exploring this study further. Back in January, Strauss also published President Obama’s Budget Proposals on school safety http://www.washingtonpost.com/blogs/answer-sheet/wp/2013/01/16/obamas-proposals-on-school-safety/. The president talks about more resource police officers, counseling, anti-bullying, referral to services, and school psychologists and social workers to create a “nurturing school climate” for students. He also discusses safety plans. Yet, the scenarios I first noted above, I would say, are not considered. To accomplish the president’s goals, I would argue, these other issues must be addressed! Back in April, the president also spoke of $235 million going towards mental health, $130 million to train teachers, with Project AWARE, how to identify students with problems http://abcnews.go.com/Health/obama-budget-includes-235-million-mental-health-initiatives/story?id=18922699. I don’t care how much money you pour into schools, if teachers have huge class sizes, are pushed to focus on high-stakes testing, ignoring parents and the arts, and are pushed to pick on the mundane mistakes students make, the real emotional issues of their students won’t be addressed. I also find it interesting that the president never mentions special education. Instead, he speaks of training teachers to recognize mental health problems. Well we used to focus on specially prepared teachers to do this. With the two reauthorizations of PL 94-142, the original special ed. law, special ed., especially for students with mental disabilities, even if the student’s problems are of a transient nature, has lost its pizazz. I’m not saying self-contained classes for students with emotional/behavioral disabilities were perfect. Certainly better preparation on the part of all school staff to recognize student problems is called for. But the protocol surrounding these students used to at least identify and provide them with some support. These classes could have been improved. Instead, most students with emotional/behavioral problems are now lost in over-sized classes. It isn’t always easy to determine who has an emotional/behavioral disability warranting more attention, especially in middle and high school. But mental health has been pretty much shoved aside in the quest for perfect test scores and sameness. Unfortunately, for society, students have differences and don’t all care about test scores. They don’t fall into the average groove of acceptability. They have more pressing problems, or the school atmosphere itself creates the problems. 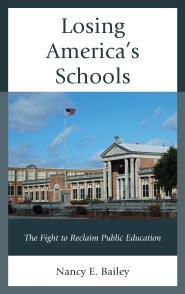 It is time to reform the reforms and bring more personalization back to public schools. Readers can see more testimony here for more frightening -and sad – information about how stress is hurting our students and teachers. A social worker and therapist recounts her experiences in this testimony – about 13-1/2 minutes long. I agree Cynthia! I love the way you add more about the importance of the arts and student expression. The arts can also help students with emotional difficulties deal with their problems in a better way like you note. Thank you.